Frozen Snacks veg_logo Created with Sketch. 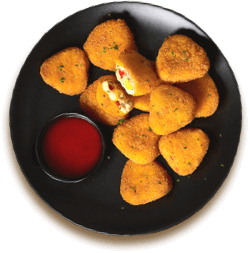 Look at Frozen Snacks in a whole new way - Get health, taste and variety all in one go! Relished by prawn-lovers globally and trusted by Master Chefs at ITC Hotels, our new and delicious range of Freshly Frozen, Super Safe prawns are sure to unlock a world of culinary possibilities. Mango Pulp veg_logo Created with Sketch. 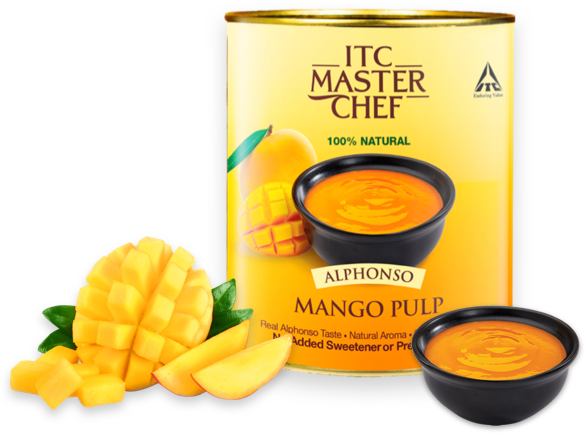 Made from the choicest Alphonso mangoes harvested from select orchards, ITC Master Chef Alphonso mango pulp is 100% Natural. Now you can enjoy your favorite Alphonso mango throughout the year. Smart Onions veg_logo Created with Sketch. 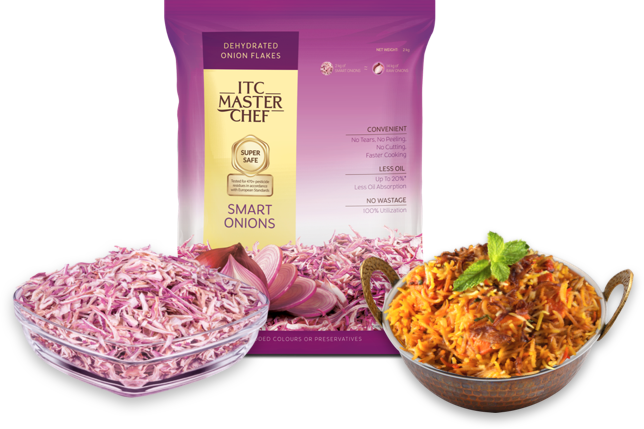 Switch to ITC Master Chef Dehydrated Smart Onions that require less oil, less effort and leave no wastage. Spices veg_logo Created with Sketch. 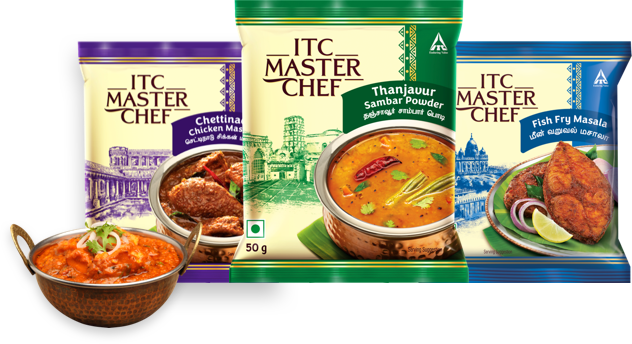 ITC brings you a range of spices, authentically sourced and chosen from some of India’s renowned spice lands.  ITC Master Chef aims to inspire you to find your inner Master Chef. 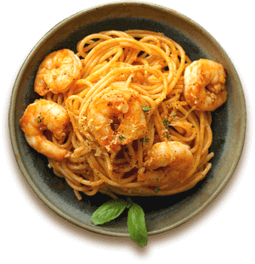 It brings a range of quality ingredients and ready to cook products that make cooking even more exciting. 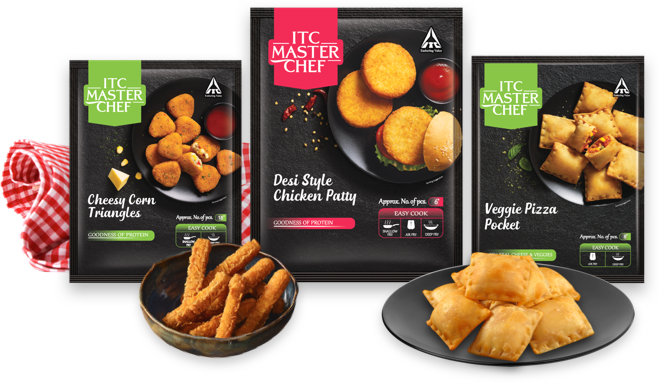 All ITC Master Chef products offer the best quality, reduce preparation time and come with the ease of cooking & storage. 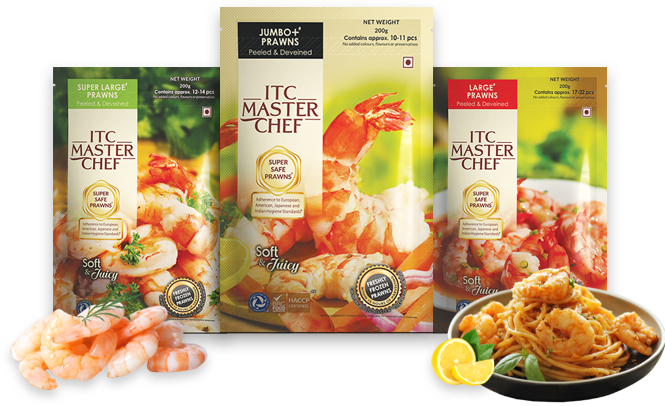 From ITC Master Chef spices, frozen prawns, dehydrated onions, mango pulp to ready to cook snacks, we offer you all it takes to explore the Master Chef within you.